T5 Data Centers has started marketing a “powered-shell” building outside of New York City to companies looking for a disaster recovery or redundant data center site. The 40,000 sq ft building in Briarcliff Manor, New York, has been renovated, and the developer expects it to be fully operational by the second quarter. Its current power capacity is 2MW and can be expanded to 4.25MW. T5's chief marketing officer Aaron Wangenheim said the company applied lessons learned from last year's Hurricane Sandy when it decided to open the New York-metro facility. “We chose Briarcliff Manor because we believe it to be one of the safest data center locations in the New York metro, as evidenced by the fact that the area was largely unaffected by Sandy and never lost power,” he said. “It’s also in the heart of a booming technology region.” BioHud Valley, where the facility is located, is home to a robust biotechnology industry, and the developer says that the building could serve as a laboratory or incubator space for regional medical and research institutions, including Cornell, New York Medical College, Phelps Memorial Hospital, and Westchester Medical Center. Companies headquartered in the area include New York Life, Chrysler Financial, Liberty Mutual, PepsiCo and IBM, among others. 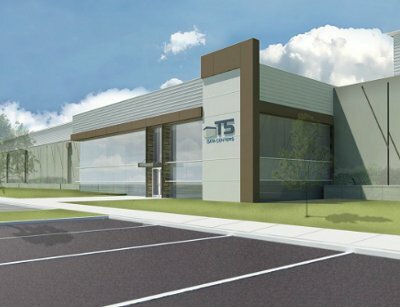 This is T5's seventh data center in the US and its first in the Northeast.